View More In Dinner Plates. With an appealing high gloss finish on classic heavy glazed enamel, the Texsport Enamelware Dinner Plate offers a classic accompaniment to any outdoor meal. 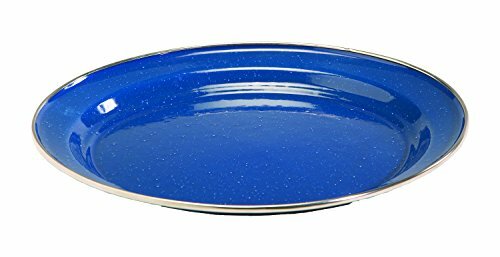 This royal blue dinner plate is protected by a stainless steel rim that also serves to enhance its appearance. If you have any questions about this product by Texsport, contact us by completing and submitting the form below. If you are looking for a specif part number, please include it with your message.